What other fairly passive hobby can give more satisfaction than the reading of a book? Really, it is silly to think of it as an accomplishment when you flip the last page. You read something. Most of us read things all day but we hardly feel self-satisfied when putting down a newspaper or magazine. Well, actually, getting through the weekly Economist is (my wife is rolling her eyes) my burden and curse, and finishing it is kind of satisfying. Maybe that’s it, the sheer amount of time and energy required to actively absorb the contents of a book is not unlike, say, finishing a cross-country drive or sticking that last sky-colored piece of the puzzle in place before breaking the whole thing up and stuffing it in the box. It’s that it took so long that makes it feel like an accomplishment! You worked at that book, man! I know I felt particularly elated when I closed the cover of the following monsters: Ulysses (264,000 words), The Count of Monte Cristo, (463,958 words),War and Peace (561,304 words), and, especially, the Bible (775,000+ words depending on translation and denomination). By comparision, the whole Harry Potter series has 76944 words. But even more than just the time involved, there is also the mental exertion. A good book will require at least a lil’ workout for the noggin. So, after firing off a brief list of my favorites and least favorites for 2010, here’s a few books I’m looking forward to reading in 2011. 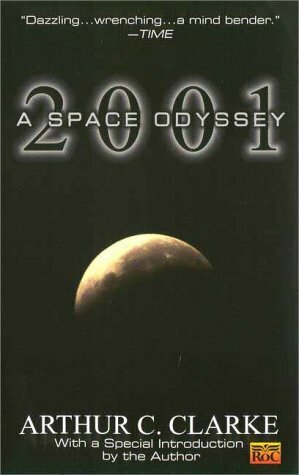 2001: A Space Odyssey by Arthur C. Clarke- I found this for a dollar at the Goodwill store in Davis Square. The movie, which I catch fragments of every so often, still gives me jitters. I wonder if the book is as equally unnerving? I want to see if the plot is more fleshed out than what we get in the film. Also, I’ve never picked up a Clarke novel. He’s one of the great sci-fi pioneers and I expect his work will live up to the hype. Three Novels by Bernard Malamud – Found this great deal in a Manchester, NH used bookstore, The Fixer, The Natural and The Assistant, all for maybe ten bucks in hardcover. 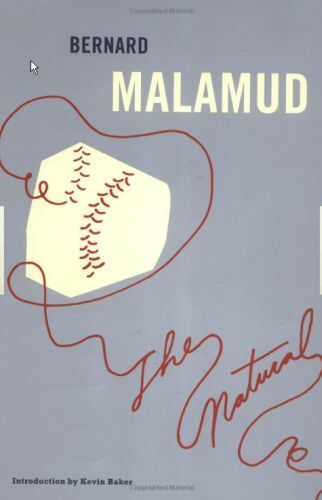 I’ve never read Malamud and can’t wait to crack it open, though I may only get through one of the three in 2011. The Fixer and The Assistant are both on the Master List and The Natural is a classic baseball movie. Which one of the three should I read first? Little Women by Louisa May Alcott – My sister-in-law raves about this book (or is it the movie? Maybe both). I owe it to her to read it since I keep buying her books for Christmas and am not sure she’s all that keen on my tastes. Add to that Alcott wrote it a few minutes drive from where I live and my mother left me a fancy leather-bound edition and I’m just about legally obligated to read it. Can you get over how cheesy that cover shot is? I can’t wait to see if this book is anywhere close to worth the fuss. The Bells by Richard Harvell- Rich is a childhood friend who published his first novel about a castrato choir singer in the Swiss Alps. Sounds awesome! Freedom by Jonathan Franzen- Because from what I’ve read about it, people’s reactions to it are exactly the same as my own to The Corrections: often beautifully written, often frustratingly punctilious in its detail and plot-construction, insufferable and unavoidable, a book that you can’t stop thinking about once it’s done. Born to Run by Christopher McDougall- Christmas gift from the pa and mo-in-lo. I’ve heard lots about this nonfictioner about a Mexican tribe that have superhuman running abilities. It’s also the book that launched the barefoot running craze. As a perpetual running wannabe myself, this should be a fun not-a-novel break from the heavy dose of fancy-shmancy lit. With Freedom, I couldn’t shake the feeling that Franzen didn’t really like the characters that he was writing about, with the exception of the main character, but that’s almost like he just pitied him. 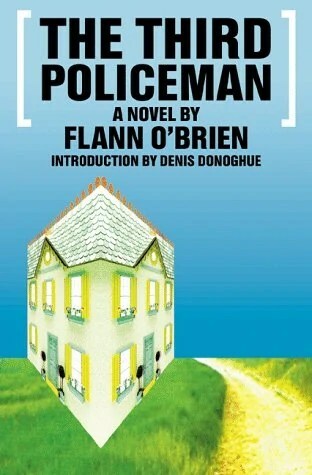 Plus, the main character’s diatribe in the middle of the book seemed like a thinly veiled diatribe by the author, almost like Crichton railing on global warming or nanotechnology. I haven’t read any of the others on your list, so good luck!